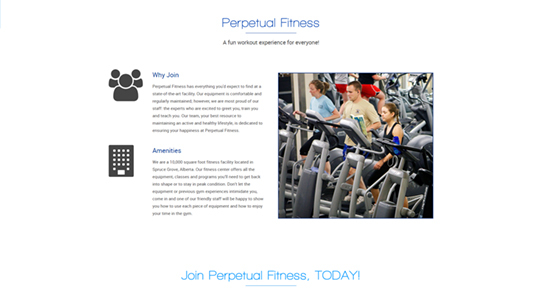 Owned and operated by entrepreneurs DeVaughn McEwan & Leslie Quilter, Perpetual Fitness is one of Spruce Grove’s premiere exercise facilities. 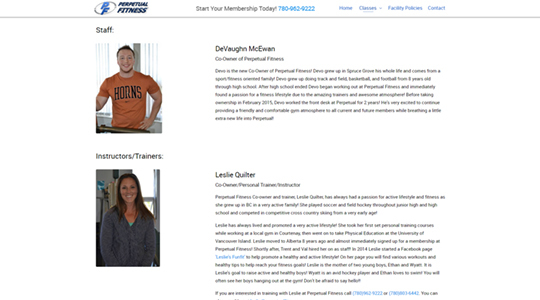 Offering more than just ample space and high-quality equipment, their enthusiastic, positive and qualified staff offer group classes and personal one-on-one training programs suited to individuals of all levels of fitness. Subtle graphic design with emphasis on content. 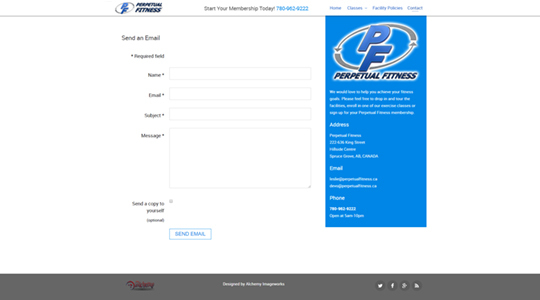 Fitness enthusiasts don’t have time to wade through mountains of text content, they need a place to work out! 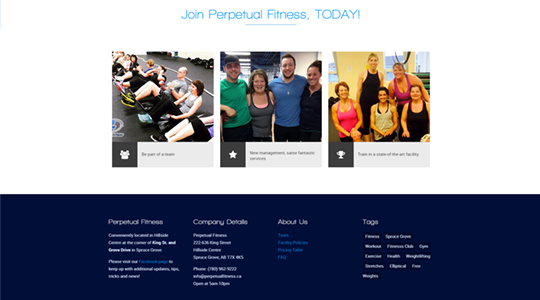 Our team of web design professionals constructed and beautiful, clean and relatively minimalist marketing platform built on a strong WordPress content management system foundation for easy application of edits by the staff at Perpetual Fitness. 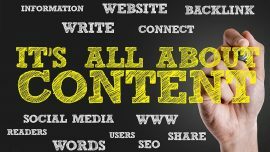 The information delivery is clear and concise, with plenty of breathing room between elements to give extra focus to specific content. Mobile responsive design is a method of website development whereby the content and layout of the website reconfigures itself to accommodate the device being viewed on. 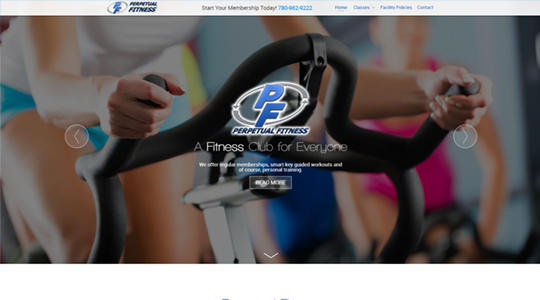 Examples of this type of website can be found through almost all of our portfolio projects and additional details can be found on our mobile responsive website design page.